Crab Bisque is served in many fine restaurants. This creamy, rich soup is a delight to start a meal, or you can use this as a main course. Many excellent restaurants serve different types of seafood bisque. Crab bisque is very easy to make. You can make amazing crab bisque at home. 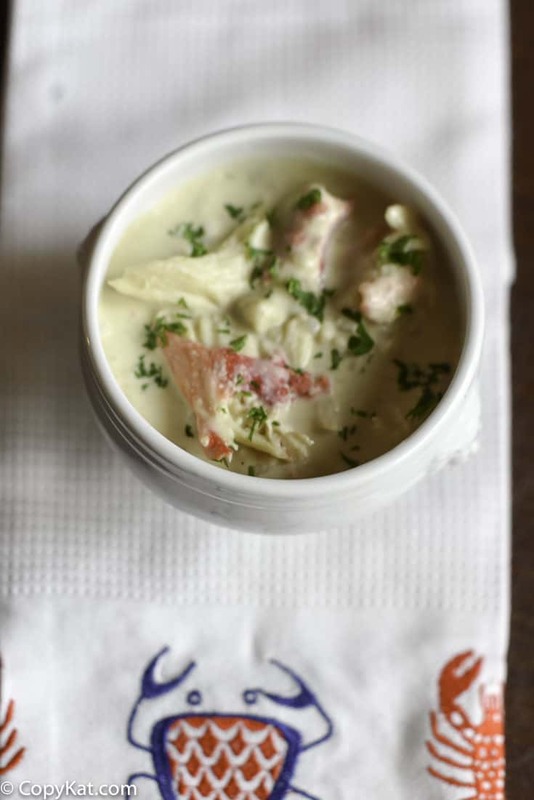 Many bisque styles of soups are actually made with the shells of the seafood that is served. Yes, this soup is made with the shells of the crab. So if you are going to buy some crab legs, you may want to consider making a crab bisque with the leftover shells. The real secret of a bisque is the stock that you will make. There is one secret ingredient to the stock, and that is time. Many soups and stews have their basic flavor coming from the stocks that are used in the recipe. To make the crab shell stock, you are simply going to place all of the leftover shells in a large pot. You will want to add some chopped coarsely chopped onions, leeks, celery, and a few carrots. You will want to fill the pot with enough water to fully cover all of the stock ingredients, and then you will want to cook the stock on low temperature for several hours. I personally do not like add salt and other seasonings at this time. I like to season the soup when it nears completion. This way you can taste the ingredients and see what they need. I feel like seasoning stock while you cook it is judging your food way too early. After 3 to 4 hours, you will want to drain the stock and toss all of the solids. You will then want to reduce the remaining liquid by half. At this point, you will have a super concentrated and flavorful stock you can make your crab bisque. My big tip here is to not let the stock boil at this time. You want it to simmer only. Allowing a stock to boil means you will have a cloudy stock. Once you have your stock ready, this soup comes together fairly quickly. You will saute the aromatics like shallots, and celery until they are just soft. You will add some flour, and cook a roux.After the roux cooks for a minute or two, you will add in the remaining liquids. If you desire you can puree the soup, and run it through a sieve if you want it super smooth. Then you can add some cooked crab to the bisque and enjoy. If you don’t have crab, you can use shrimp or even lobster for the recipe. You can interchange the crab, lobster, and shrimp. I think this is a good soup to make when you are trying to get the most value out of shellfish which can be fairly expensive. Are you looking for something to serve with crab bisque? 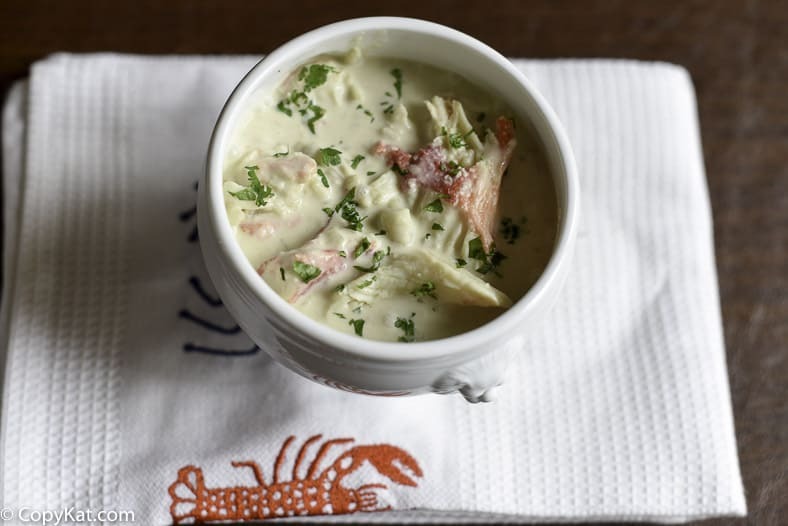 Crab bisque is easier than you might think to make. Stock instructions If the shells are not already cooked, you will want to break them up into smaller pieces, drizzle a little olive oil on them and roast them in a 350-degree oven until they become fragrant and just begin to brown, this may take about 30 minutes.In a large stock pot place shells, coarsely chopped onion, celery stalks, leek, and carrot. Cover all ingredients with enough water so the shells are completely submerged by 1 to 2 inches. Cook the stock on low for 3 to 4 hours. Strain stock, discard all solids. Return stock to a pan, and reduce by half by turning up the heat until the stock just begins to boil.To make the bisque place 2 tablespoons of butter in a 2-quart pot with the shallots, and celery. Saute until the shallots and celery become soft. Add 2 tablespoons of butter and cook until the roux becomes fragrant. Add seafood stock and sherry. Stir until the soup becomes thick. Add cream and heat through. If you desire a bisque that is smooth, process the soup with a food processor or a stick blender, then strain the soup with a fine sieve. Return soup to the pot. Add cooked crab if desired. Serve immediately. Looking for some good recipes to try.